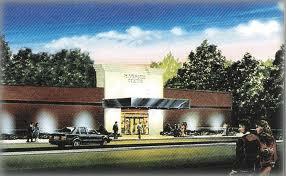 Rollin “Ron” Wehman passed away today, he was the founder of the Riverside Dinner Theater in Fredericksburg. I knew Ron personally, he was on our board of advisers and when I reached out to various businesses to see if any would allow our undergraduate marketing students to do a case study on them, Ron did not hesitate. He allowed our students unfiltered access to everything from the theater’s financials to the challenges that they face. Not many undergraduates (at any school) ever get this level of exposure to business so Ron’s help was invaluable. The students got great experience and the Riverside Theater got a great consultancy project that helped them develop their social media marketing. I’m sad that we lost a greater person and my hope is that his example will be followed by others.